Collecting, storing and processing the data is only one part of the story, the most vital section of the story is the climax. It makes no sense to listen to a story without a conclusion and in a similar way, it is absolutely futile if we are not able to make sense of the data stored and processed. 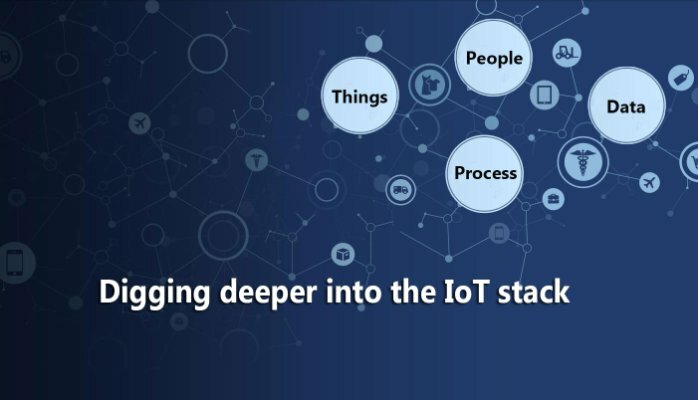 With the growth of Internet of Things, the complexity, nature and the impact of the problems have also changed and scaled. Solving these new problems the data driven way is possible, but the means to solve them definitely requires a new approach. The traditional data analytics and reporting approach or solving specific problems wouldn’t really help. The terms like data science, data analytics and decision science have been making a lot of buzz in the industry. Most of us don’t really understand the key differences between them and some would even use them interchangeably. But in true sense, all these different terms definitely have distinctions and are leveraged in different scenarios. The industry first witnessed the initial exercises of making sense of data through visualizations. Business Intelligence tools from multiple players dominated the market. It essentially aided in summarized consumption of insights leveraging mostly transactional and operational data. Data Analytics was mainly limited to the business intelligence tools and practices with focus to aid decision making. 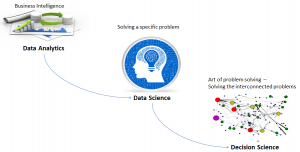 Gradually data science evolved from data analytics as the kind of problems evolved. Solving these new problems required the intersection of multiple disciplines like math, business and technology. Learnings from a wide variety of disciplines were converged to solve a problem the data driven way and it therefore required a larger base of skill-sets along with those of a data analyst. So what is decision science? 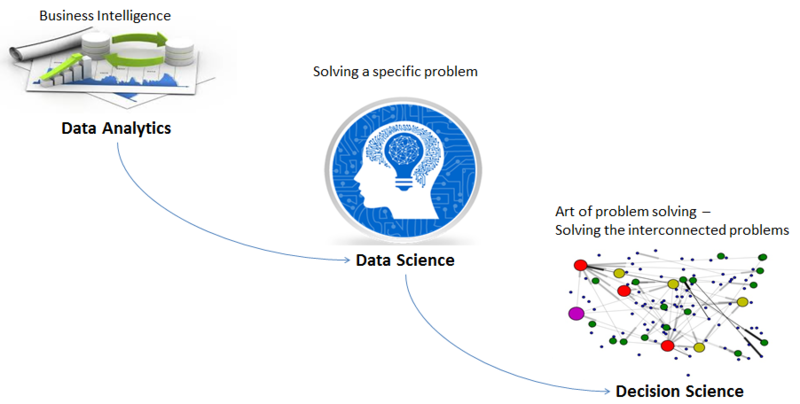 Even though Data Science solves more complex problems than data analysis, it still limits to solving a specific problem. Today most problems are interconnected in nature. Along with the ambiguity, complexity and impact of the problem the number of interconnections with other problems have also been studied. 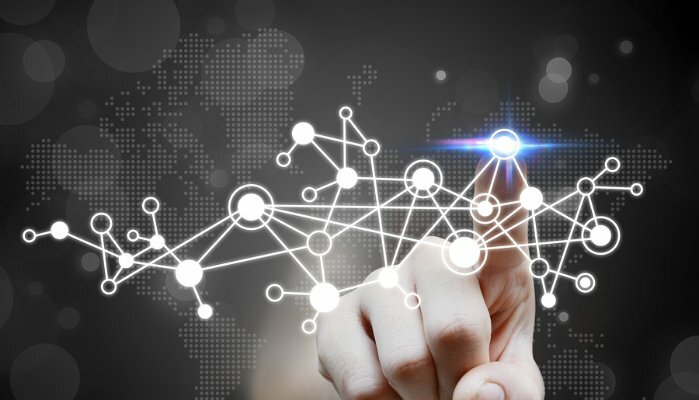 Solving a specific use case can sometimes result in a deadlock if an interconnected or associated problem remains unsolved. Data science therefore sensed the necessity for an evolution and that’s when decision science was born. Decision science deals with the art of problem solving. It converges the learnings from a wide variety of disciplines like Math, business, technology, behavioral science, design thinking and many others and deals with the interconnected nature of problem. In a nutshell, we can infer data science is about solving a specific problem whereas decision science deals with the art of problem solving. Data Science is essentially a part of Decision Science. 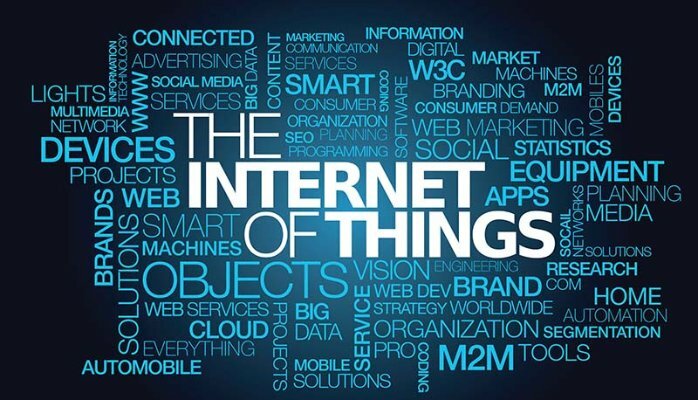 Internet of Things has been a game changer and the problems that arise from it are also increasingly complex, interconnected and ambiguous. To solve an IoT use case, we need to leverage decision science to be able to seize the potential avenues from the disruption. 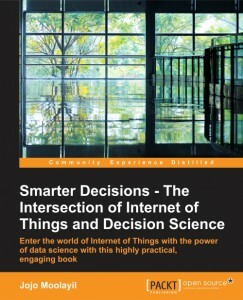 In my upcoming book, Smarter Decisions – The intersection of Internet of Things and Decision Science, the entire journey of practically solving an IoT business problem with hands on exercises in R has been articulated in a simplified way. Data Science, Decision Science and IoT enthusiasts would be able to learn the art of problem solving by leveraging decision science for IoT.